Four Robert Woodhead Ltd projects have been shortlisted in this year’s Considerate Constructors Scheme (CCS) site awards. 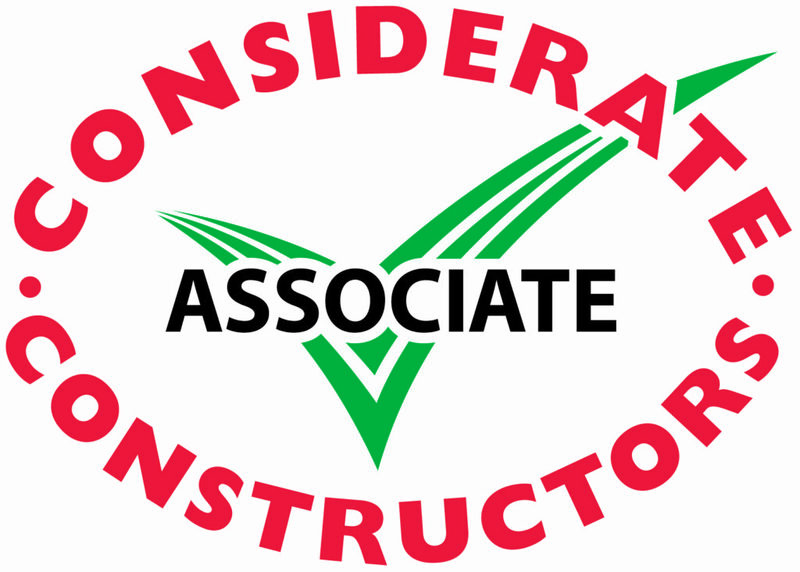 The sites delivered by Considerate Constructors Scheme Associate Members, Robert Woodhead Limited have been named as finalists in the CCS’ National Site Awards 2017, which will be held in April. – All Saints Academy, a school refurbishment project in Mansfield, Nottinghamshire. Each of the sites will be handed an award by the CCS scheme for excellent scores from independent monitors. King Edward Park, an £80k project to build a skate plaza for Nottingham City Council was highlighted as an exemplar project, scoring 47 out of 50 on its assessment, which is Woodhead’s highest ever score. With a national 12 month rolling average in November 2016 of 35.42, Woodhead have been told the score of 47/50 places the project in the top 1% in the country! The £6m restoration of the Grade II* Listed Delapre Abbey in Northampton, a 12th Century monastery, was delivered by the company’s conservation specialists, Woodhead Heritage. The site, which has included a wide range of restorative works, has offered a range of challenges for the site team, including dealing with the impact of vandalism, as well as working alongside dedicated and actively engaged Friends groups, with vested interests in the future of the Abbey. The site at Rogers Avenue in Creswell, Derbyshire, is part of a much larger housing partnership between Bolsover District Council and Robert Woodhead Ltd. The B@Home Partnership was procured through Efficiency East Midlands (EEM) in 2015. That same year representatives from Robert Woodhead Ltd and Bolsover District Council signed a partnership agreement to deliver more than 100 high quality energy efficient homes, over a four year period, while maximising social and economic benefits. In August 2016 Woodhead completed the seven homes on Rogers Avenue. A former garage site, the small cul-de-sac marked the first homes completed in the overall programme of work. Moving into its second year, the programme has already positively impacted the local community, offering 12 work experience opportunities to local students and engaging with more than 1,200 young people to inspire them towards a career in construction. Woodhead Education, one of the company’s specialist construction teams, completed a £280,000 project at All Saints Academy in Mansfield in October 2016. Work to enhance the school included replacing external windows and doors, as well as a number of remedial works and new lighting. It is the projects work with the school and its local sub contractors that impressed the monitor. The site team invited local football club, Mansfield Town FC to visit the school during Woodhead’s time on site, to carry out some training with a group of students. Players also held a mini press conference with the young people, answering all their questions, not to mention a lot of autographs and selfies. Both King Edward Park and the All Saints Academy projects were procured through the East Midlands Property Alliance (empa), managed by Scape Group, which aims to improve the delivery of construction projects and property maintenance for public sector bodies, saving them and the taxpayer money. Ian Towlson, regional frameworks manager for empa, said: “Community impact is at the heart of empa’s ethos, as we strive to deliver schemes that have a real and lasting effect on the local community. Derek McGrath, Director for Robert Woodhead Ltd, said: “We pride ourselves on the work we do as a company to deliver measurable impact on the sites we work on. It’s always our aim not only to do an excellent job but also to leave a positive legacy behind, whether that be through our engagement with the local community, or our efforts to provide work placement opportunities, local jobs and training.